These delicious cookies are so light and they are packed with blueberry flavor! You won’t be able to get enough of is tasty dessert! 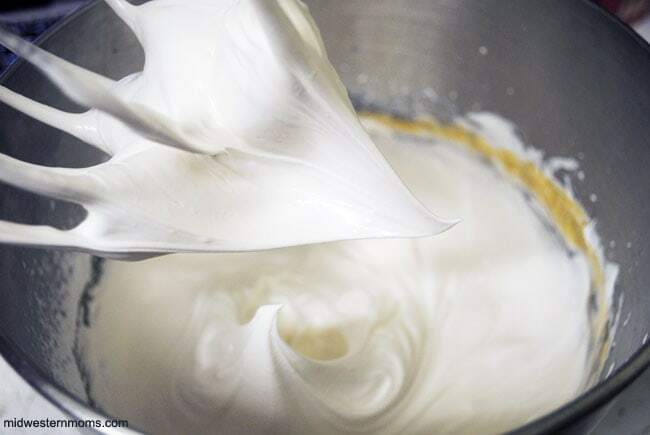 the egg whites and cream of tartar until soft peaks form. 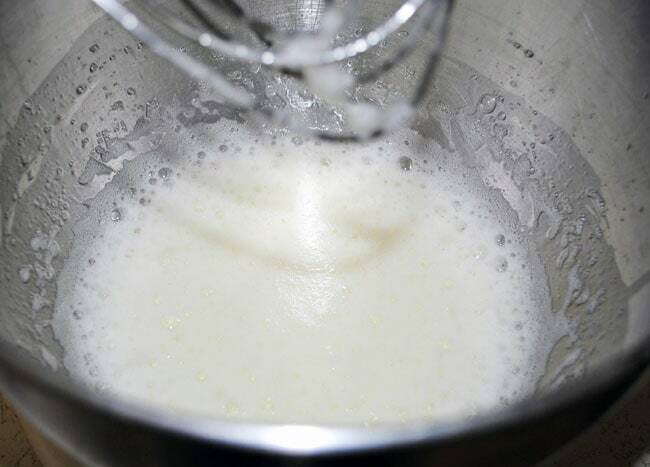 When you start adding the 2 sugars according to the directions, mix until you have stiff peaks. 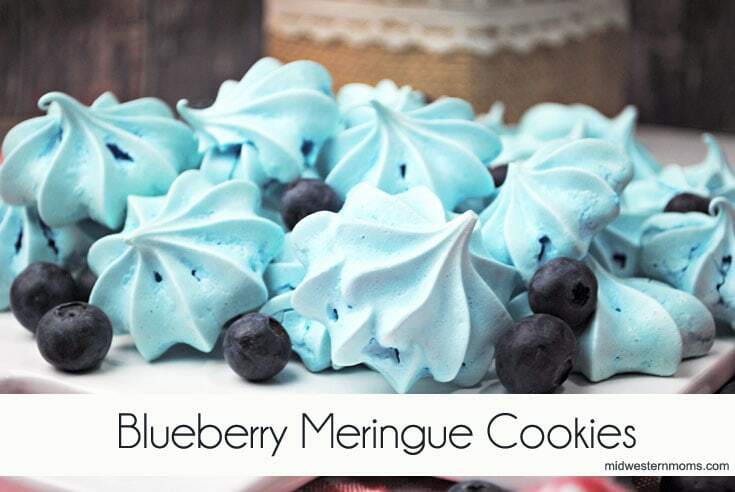 Once they are baked, you can enjoy your tasty blueberry meringue cookies! 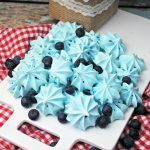 These Blueberry Meringue Cookies are light and fluffy. 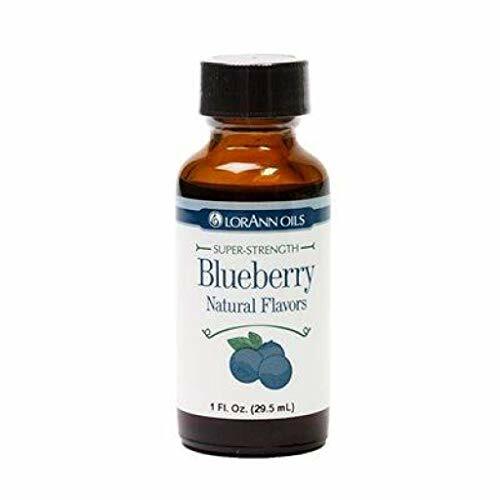 They are packed with delicious blueberry flavor. 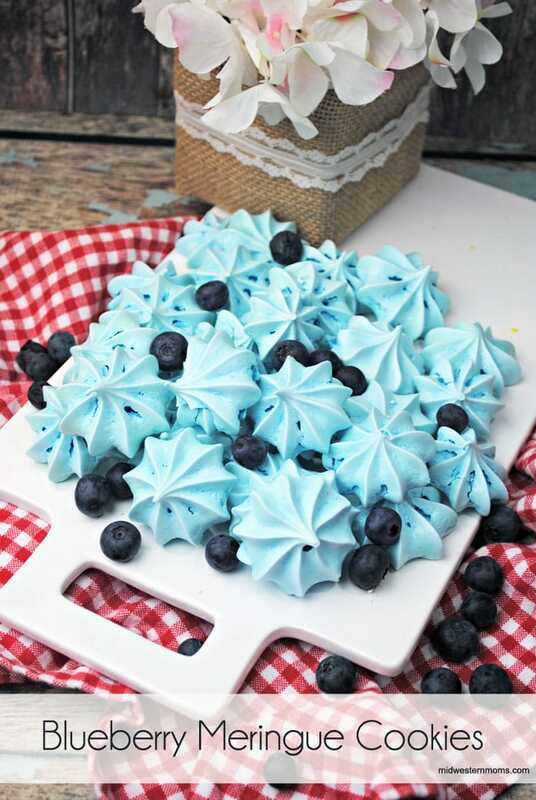 You won’t be able to get enough of these meringue cookies! 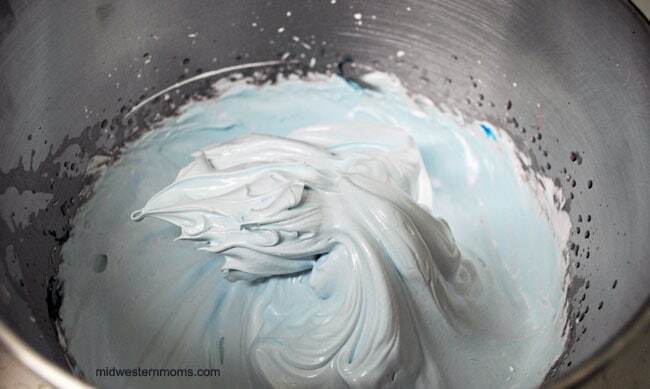 Add in the blueberry flavoring and the food coloring and mix until combined. Using a pastry bag with a star tip, pipe the meringues onto a baking sheet lined with parchment paper. Bake for 1 hour at 225 degrees.